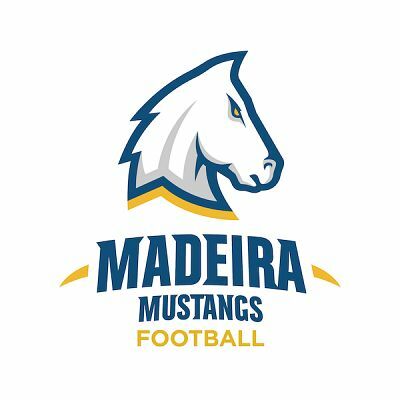 WHEN YOU COME TO THE MADEIRA MUSTANG CAMP YOU WILL BE INSTRUCTED ON THE MANY SKILLS OF FOOTBALL FROM OFFENSE TO DEFENSE TO SPECIAL TEAMS. YOU WILL ALSO DEVELOP RELATIONSHIPS WITH PLAYERS AND COACHES THROUGH THE GAME OF FOOTBALL. FOOTBALL IS A TOOL THAT CAN HELP YOU LEARN SUCH VALUABLE TRAITS AS LOYALTY, TRUST, ACCOUNTABILITY, DISCIPLINE AND PREPARATION. COME WORK WITH US TO HELP CREATE LEADERS THROUGH THE GAME OF FOOTBALL. COME WORK WITH CHRIS STEWART AND HIS HIGH SCHOOL AND MIDDLE SCHOOL STAFF AS WELL AS HIGH SCHOOL PLAYERS AT THIS HIGH ENERGY CAMP. LEARN THE ESSENTIAL SKILLS OF OFFENSE DEFENSE AND SPECIAL TEAMS. INDIVIDUAL POSITION TIME, SMALL GROUP AND TEAM TIME WILL BE TAUGHT AT THIS CAMP ALONG WITH FUN GAMES. WE LOOK FORWARD TO SEEING YOU THIS SUMMER! No Experience is Necessary!